To showcase the achievements of the Innovation Challenges (ICs), the Analysis and Joint Research Sub-Group (co-led by Canada and India) created and presented an infographic to Ministers at MI-3. These achievements were showcased and built upon at the Ministerial with the announcement of successful bids for funding, publication of reports and discussion at workshops. A significant development at MI-3 was the launch of the eighth IC, on Renewable and Clean Hydrogen (IC8). The objective of IC8 is to accelerate the development of a global hydrogen market by identifying and overcoming key technology barriers to the production, distribution, storage, and use of hydrogen at gigawatt scale. The Challenge is co-led by Australia, Germany and the EC. The co-leads will ask member countries about their existing research activities in a survey that will be circulated in June for completion by early August. The results of the survey will feed into a deep dive workshop planned for October 2018. The results of the Calls for Proposals from India and France on Off Grid Access to Electricity (IC2) were announced at MI-3. Each selected nine projects for funding. Winners of the French competition focused on access to energy in African countries. Winners of the Indian competition partnered with at least one MI country. Collaborators with organisations from India are from Australia, Canada, France, Germany, Italy, Norway, Sweden, UK and the USA. A report on the MI Carbon Capture, Utilisation, and Storage (CCUS) Experts’ Workshop held by IC3 in September 2017 in Houston, Texas was launched at MI-3. It sets out thirty ‘priority research directions’ for advancing the performance and reducing the costs of CO2 capture, utilisation and storage. The concept of the Climate Comfort box, equivalent to the Turing Machine for computing, was introduced at the Solutions Summit by IC7 in collaboration with the IEA’s Technology Collaboration Programmes. 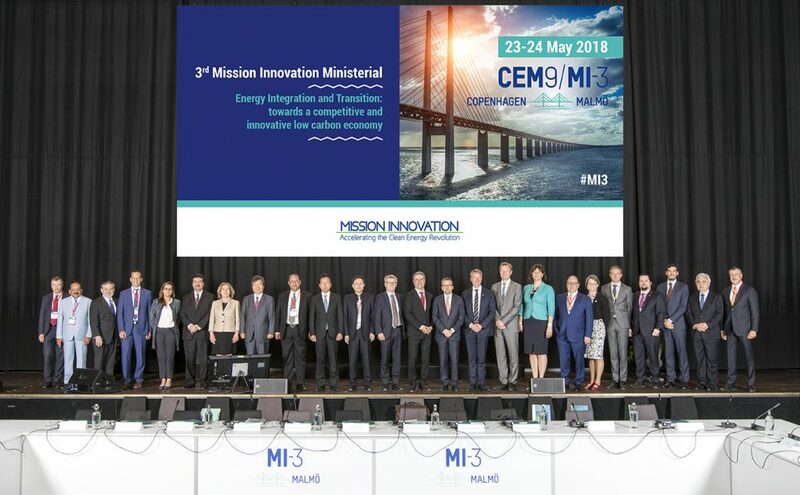 A three-day deep dive workshop was held by the Smart Grids IC (IC1) on the margins of MI-3, including a workshop in Copenhagen that was open to the public. Over the past year, IC1 has launched Calls for proposals, signed collaborative agreements, and published a comprehensive country report. Some of the planned activity of the ICs are highlighted in the Delivering the Action Plan document published at MI-3 including synchronised funding Calls on converting sunlight (IC5) and the launch of a collaborative research project to accelerate the discovery of energy materials (IC6). Since MI-3, IC4 has been active with the launch of a is $5 million USD Call for Proposals by India for collaborative R&D with MI member countries in the field of Sustainable Advanced Biofuels. The deadline for the submission of Letters of Intent is 31st August 2018. The progress and plans of the IC’s will continue to be showcased in future newsletters. You can sign up to receive the newsletter here.